Ca. L. asiaticus is a bacterial pathogen originating in Asia that has recently been introduced into the Americas (1). It causes citrus greening, which now presents an unprecedented threat to citrus production worldwide. It is transmitted by the phloem-feeding citrus psyllid insects (Diaphorina citri). The bacteria has been detected in citrus plants in many coutries including China, Japan, Thailand, India, the Philippines, Arabian Peninsula, Africa and Brazil and the USA where it was first detected in Florida in 2005 (2) and is now present in a number of states. 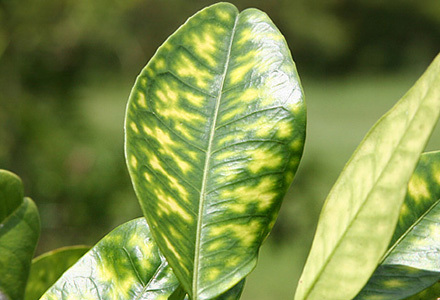 Citrus greening is characterised by blotchy mottling of leaves, stunting shoots and branch dieback as the disease progresses (see photo). 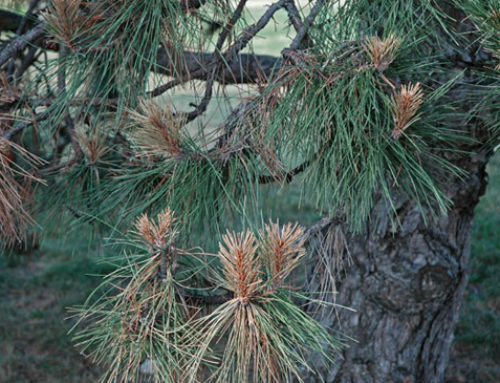 The fruit of diseased trees is small and lopsided with poor colour. Citrus greening is a major threat to commercial citrus production and is the most destructive disease of citrus trees worldwide (3). With the citrus industry of Florida and elsewhere at stake, there is an urgent need to control Ca. L. asiaticus but this brings significant challenges. 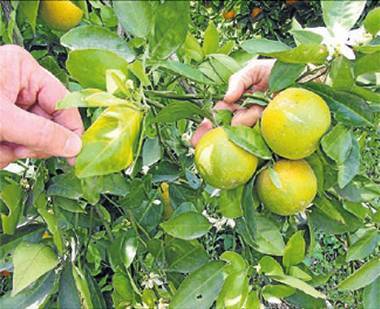 At present there is no effective control method to manage the disease and no resistant cultivars are available although there are differences in the host response and sensitivity of citrus genotypes to the disease. 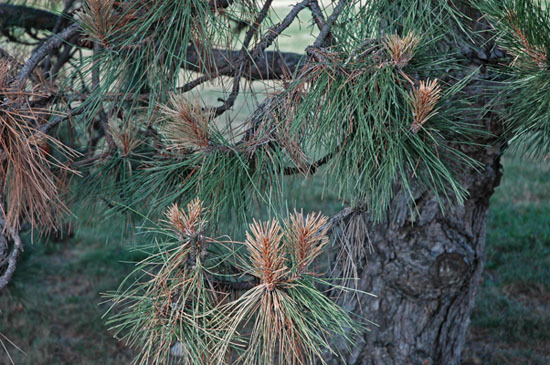 Thus rapid diagnosis and immediate removal of infected trees is normal practice. PCR systems have been used for molecular detection and antibody systems have been developed as convenient, low-cost detection methods for farmers and quarantine officials (4). A complete circular Ca. L. asiaticus genome has been obtained by metagenomics and this is the first genome sequence of an uncultured a–proteobacteria that is both an intracellular plant pathogen and insect symbiont.